That’s exactly what I hum to every time I wear MAC’s latest Viva Glam lipstick in collaboration with Ariana Grande. After her successful first launch with MAC, the pop star released Ariana Grande 2 Lipstick & Lipglass last fall. MAC’s Viva Glam range is one of my absolute favorites as the entire purchase amount goes towards the MAC AIDS fund. To date, the MAC AIDS Fund has raised over $400 million and helps women, men and children living with and affected by HIV/AIDS. Surely a makeup range worth supporting. 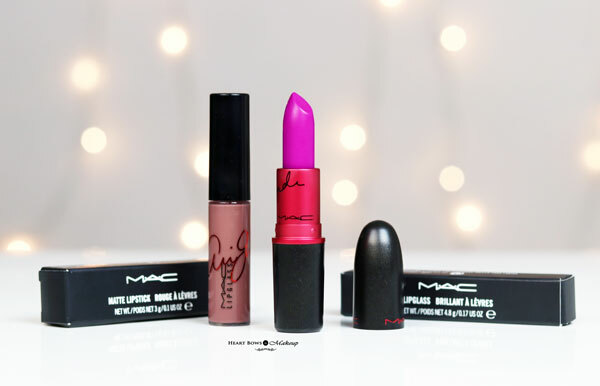 Read on to know my thoughts on the MAC Viva Glam Ariana Grande 2 Lipstick & Lipglass. Can be bought at MAC stores or online on Nykaa. The Viva Glam Ariana Grande 2 lipstick looks gorgeous with a red bullet that is different from the normal MAC packaging. 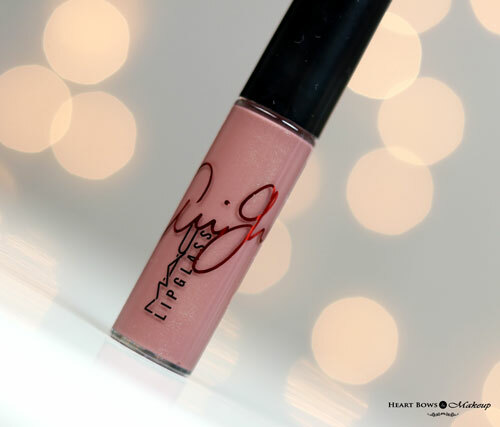 It carries Ariana Grande’s signature and the shade name is mentioned below. The color is a bright and bold orchid pink with a strong purple undertone. I usually shy away from such purple-pinks as I feel they do not compliment my warm NC 30 skintone. However, I must say I was pleasantly surprised with the Ariana Grande 2 Lipstick. 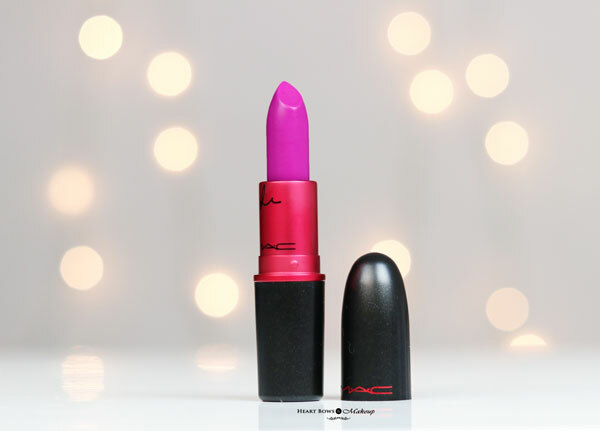 It looks absolutely gorgeous and is the perfect bold lip color for clubbing and parties. 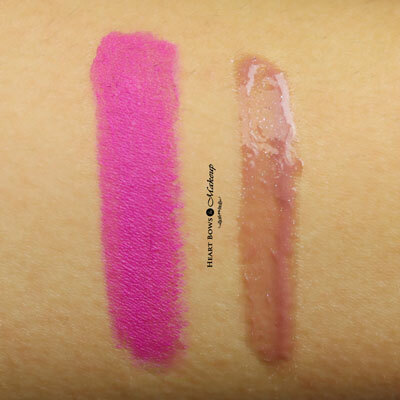 It is much brighter and pink-er compared to MAC Flat Out Fabulous, a little more cool toned and purple compared to Girl About Town and is a universally flattering color. I’ve seen this look equally beautiful on a friend who has a dusky complexion and should flatter paler complexions as well. It has a creamy texture and is easy to apply. The lipstick does not tug or pull on the lips. The finish is a flat matte, similar to the MAC Retro Matte lipsticks and can be a bit drying for those with very dry or chapped lips. It is always a good idea to exfoliate your lips and apply a lip balm prior to application with this particular lip color. The beauty of the lipstick is its wear time. I’ve worn this for almost 8 hours and it does not budge. 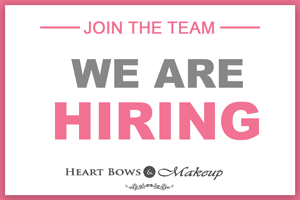 It leaves a very strong pink lip stain which can only be removed with a good waterproof makeup remover. 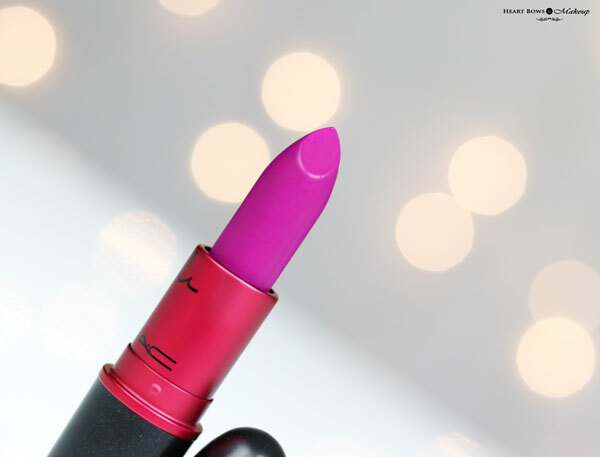 If bold lips are your thing, then MAC Arian Grande 2 should be on your must buy list. This is my first lipgloss or a lipglass, as they call it, from MAC Cosmetics. Packaged in a simple lip gloss tube, it comes with a good quality doe foot applicator. The packaging is see through and it also carries Ariana’s signature making it look very pretty. The color is a gorgeous dusty mauve with fine shimmer. One the lips, it has a semi sheer pigmentation and adds a soft layer of color. Since it is not highly pigmented, the color will be a bit pale for dusky complexion and those with pigmented lips. The texture is creamy and slightly sticky. 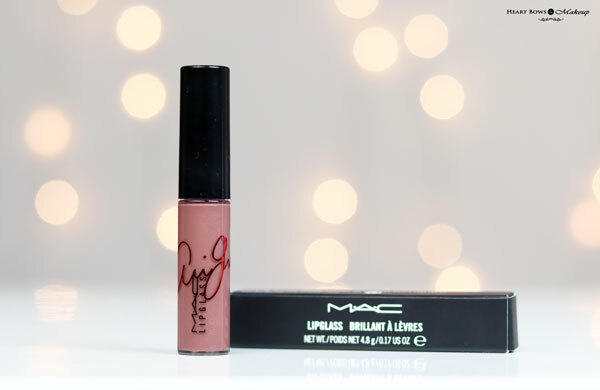 I’m not a huge fan of sticky lip glosses and I think MAC lip glasses are something that you’ll either love or not. However, due to the slightly sticky texture, the lip gloss stays put for a decent amount of time, say about 3 hours. When used on top of the MAC Ariana Grande 2 Lipstick, it adds a pop of shine and subdues the color just a little it. On its own, it’s the perfect MLBB lip gloss. 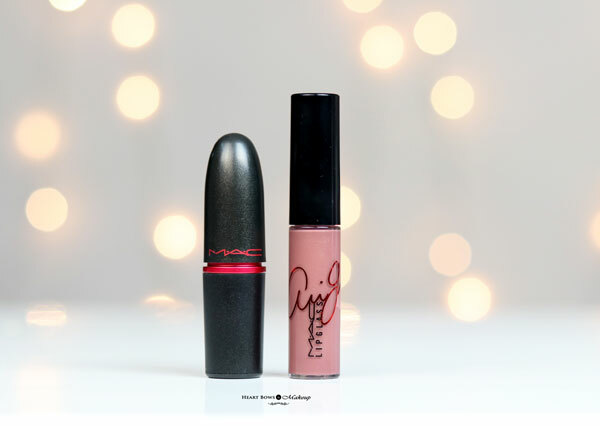 HBM Recommendation: The MAC Viva Glam Ariana Grande 2 Lipstick & Lipglass is a beautiful duo with the lipstick being bold and the lip glass is more demure and wearable. Both the products perform well, are comfortable to wear and stay put for a good amount of time. If the colors rock your boat, then I highly recommend picking them soon as they might be limited edition.